It's been a really busy time since the 3rd edition book release, so busy that there's so much still left to do to get this website bang up to date and fully supporting the book. I still need to add, edit or upload pages on here about Advanced Mixing Techniques, Scratching, Professional DJ Equipment, DJing Live, Getting Work as DJ - and a few more - but I think the black-spots on the site have now disappeared for the time being. If there's something missing on here though, PLEASE get in touch and I'll get something back to you immediately. Especially if you're looking for something I link to from DJing for Dummies - let me know, as I don't want to lead people into dead ends. 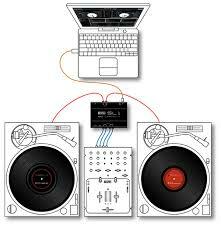 Digital DJing has moved on from just the realms of (now pretty much defunct) MiniDisc and the every popular CD DJing. And, over the past 5 years or so (between the 2nd and 3rd editions of DJing for Dummies, Digital DJing has gone from being the new kid on the block to a dominant place in the DJ market. I guess the main reason for this is accessibility. Where before, in order to be a DJ, you had to lay out quite a lot of money on hardware, as even your most basic 'start up' options were either 2 turntables and a mixer or 2 CD decks and a mixer. This would (even at its cheapest) be a minimum of £200 ($300) and could easily run into thousands. But then digital came along. Sure, its big aim was trying to link together the existing PC DJ models with vinyl / CD DJing - which is did extraordinarily well (and still does). Where Digital DJing really took grip through was with the 'Just a laptop and a controller' set up. 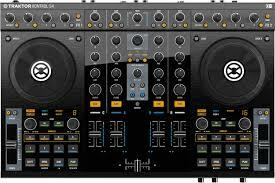 You can buy software like Serato or Traktor and use the industry standard DJ software - or go to somewhere like www.mixxx.com and download free software that is very similar in function to both of these pro level titles. Most of the DJ software titles out there don't need specific hardware to mix - you just use the keyboard and the mouse (Serato can be a bit demanding sometimes however). But the explosion came courtesy of DJ controllers which took most of the mouse clicks and keyboard presses out of the mix. Instead of needing to use turntables / CDs with control signals to play the music, spend £50 on a cheap controller and you get exactly the same amount of tactile respsone from a box of plastic with knobs. 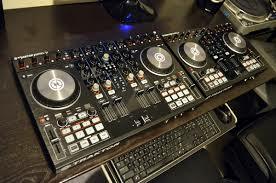 Spend a little more and your entire mix is now controlled by something like the Traktor Kontrol S4 below (which I use). But it's not just about money or control - what Digital DJing brought to the DJ was two massive things. The first was creativity. If you DJ's with turntables, in order to do any live 'remixing' of the music, you'd need multiple turntables, a mixer jam packed with effects, external samplers, effects units, many many boxes with flashing lights on them - and even then, the risk of getting something wrong was massive (although as a side note, this jeopardy of getting things wrong is actually why I'd still prefer to see a vinyl DJ than a digital DJ, but that's just me). CD DJ's had a little more creative control with hot cues, samplers, loops and all the tech the vinyl DJ had too. But the Digital DJ has everything the CD and vinyl DJ had - and more! The limit to what's on offer is just what's in the software release. 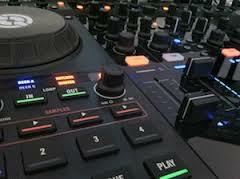 DJ controllers are fast to add lots of extra knobs and switches which can be mapped to different functions of different software so the DJ can still use the controller for as much of the process than needing to go back to the keyboard. The biggest thing that all digital DJs have access to, no matter what kit they're using, is pretty much every piece of music ever recorded. Ok, I'm sure there's some pretty obscure 1920's Charlston bits you can't download as an MP3, but you get what I mean. If you were a vinyl DJ, and you wanted to play a tune - you'd have to find it on vinyl. Simple as that. (yes, there are vinyl cutting options, but they're incredibly expensive, so I don't see that as an option). CD DJs could go online, buy it, and burn it to CD, but if you're in the middle of a club, and someone's pointed you towards the next 'big thing' - you have to go through that CD burning process (and make sure you have a computer etc) in order to get the tune into your mix. Digital DJs just jump online, buy it (I repeat, BUY IT) download it, check it - then mix it. Ok, you need to make sure you've got an internet connection and your computer can go online without crashing the DJ software, but you get the idea!! Ok, not exactly budgeting, but I was trying to think of a clever title to introduce the different options you have if you're considering digital DJing. Your budget is either 1) Cheap, 2) A bit more, 3) Loads. As with all of the bits on this website, the book has a lot more information about each subject. Option 1 - A laptop, some digital music files (which I'll probably just refer to as MP3s if that's ok with you?) and a cable to the amp. The simplest of options, but not the easiest. It's simple, because you can get hold of a laptop (or a tower PC, but you DO lose portability) and then install some software. Go for a free title like Mixx and your outlay for this setup is minimal - the only cost is if you have to buy or upgrade your computer. Get hold of all your music files, import them to the software, which creates your digital library, and start mixing. But, I said it was troublesome. The first issue is that you're using your keyboard and mouse/trackpad to mix. Which can be a bit fiddly, and let's face it, just looks like you're shopping online. The main reason, is monitoring the music. As a DJ, you need to hear the music blasting out of the speakers, but also listen to the next track you want to play in your headphones. A standard computer won't give you two outputs like this. So, you either need to buy another (probably external) soundcard, or buy a cable. Buying (or if you're capable, making) a cable is simple. But not ideal. The Griffin splitter pictured is a fantastic cable (click on the image to buy it from Amazon). Remember, stereo music is made of two signals: the left channel, and the right channel. What the splitter cable does is take the stereo output of your computer and give you two cables that represent each 'ear' of the music. Using the correct settings in your software (see the link below), you can send the live music (which plays to the dance floor) to the left channel/cable and the cued (plays in your headphones) music to the other one. Just connect these cables to your amp and headphones, and you have a traditional audio set up. Amazing! Why don't we all do this??!?! I'll tell you why - because all your music will play in mono, not stereo. You may not think this matters, but it does. If you're doing some guerilla mixing with your iPhone / iPad / Android device then sure, you can accept this loss of sound image - but if you're making a mixtape, or DJing to 6000 people, you kinda want the music to sound as it's supposed to sound!! For a lot more about this issue, head over to the Digital DJ Tips website, where Phil has put together a very good article about just this issue - and why / how you need to set up the DJ software outputs correctly. Option 2 - Go DVS (digital vinyl system). The computer is similar to before, just powerful enough to run the software without crashing. The DJ software is up to you. The industry standards are Native Instruments Traktor Scratch and Rane Serato Scratch Live - but there are a lot of competitors out there trying to be the next market leader. The Control CD and vinyl have a special timecode signal on them, that when played, makes the music in the software play. If you stop it, the music stops. If you play it backwards, the music plays backwards. If you scratch it - the music scratches. You don't neccessarily 'need' an external mixer to use a digital vinyl system, but it's kinda pointless without one. If you don't have a mixer, you'll need to do all the mixing in the software interface using mouse clicks etc. As the whole point of a DVS solution is to make the mixing experience more like 'the old days' in terms of the hands on approach, not using a mixer does diffuse the point slightly.
" 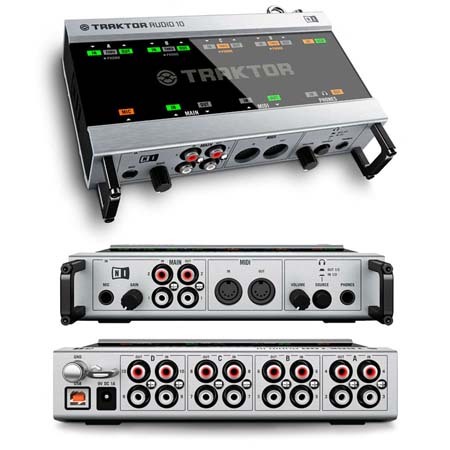 target="_blank"> The audio interface is usually a box specific to the software you're using. 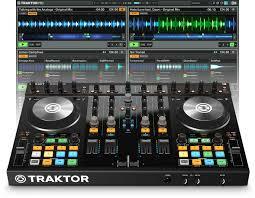 Serato uses/used the SL series, Traktor has the Audio 4/8/10 interface. No matter what it's called, it's a box which you send the outputs of the CD or turntables to, which translates the timecode signal, sends to via USB to the software, which sends the music back to the box, and then to the mixer and from there onto the amplifier/headphones. Cables usually come in the box you buy - but you'll need at least four pairs of RCA to RCA cables, and a USB cable. Music - get all your digital music together ready to play. A lot of software has great integration with iTunes, meaning you can use iTunes to label/organise a lot of the music, and then it populates in the software tidily. If you want to stick to using CD decks or turntables to mix music, but have the added access to all the music ever made - then the DVS option could certainly be the way to go. The only downside to this is when you go to DJ at clubs. There's a lot of installation requirements needed for this - and it's not the kind of thing you can just walk into a DJ booth and plug into. So a lot of pre-planning needs to be done before you can consider DJing in a club as a DVS DJ. It really is that simple. I've already covered the computer, music and the software. For cables, if you get the right controller, you'll need a USB cable to connect to the computer, then a cable to connect to the amplifier - and that's it!! It's the controller that makes all the difference. You can find controllers that only address the mixer side of things, they don't allow you to control the playback of the music, but that's not really what I'm on about. I'm talking about all-in-one controllers. These guys let you do nearly everything in the mix without having to touch the computer. You can select, start, stop, scratch, mix, effect, drop-in, swap, loop, build, layer, drop - anything you want to do, all from the comfort of your controller. And what's fantastic about this setup, is that there's a lot more options for walking into a DJ booth with this arrangment. Even if they have a traditional setup in the booth, all you need is some space to set up, and a spare channel in their mixer to connect the output of your controller. No hassles or problems here at all. There's a whole bunch of them out there that all do slightly different things. With so many controllers, and so many evolutions of them, it's hard to keep on top of what ones are the best for you out there. 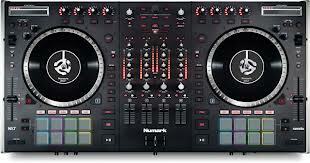 I for instance use the Kontrol S4 pictured below, but that's just my preference. You may want something a lot simpler, or a lot more complicated. 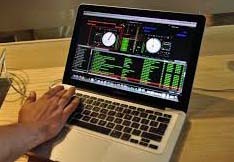 Fortunately, someone's already spending time going through your digital options - head out to the Digital DJ Tips website, and there's oodles and oodles of information about DJ controllers there - and more! 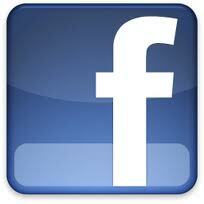 I'm just going to leave you with a link to Digital DJ Tips for more info about digital DJing. There's a reason Phil was the technical editor on the 3rd edition of DJing for Dummies - he knows his stuff. So if you want to know more (once you've read the book of course!) go check out Phil, and ask some questions. Also take a look at Final Scratch, Serato, PCDJ and many others too - but Traktor, by Native Instruments is my current favourite, and if nothing else, this page on their website goes through the many options available to the digital DJ, from basic laptop DJing to full on vinyl controlled computer DJing.